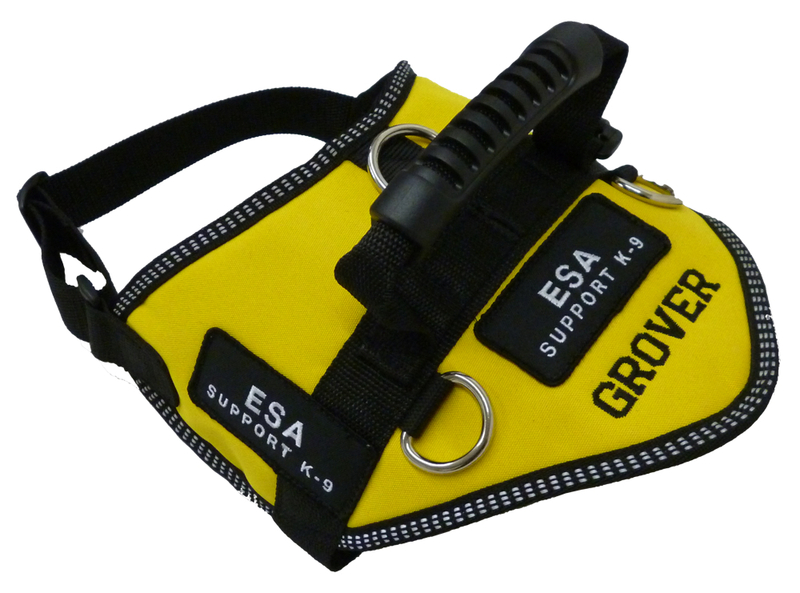 Although not a requirement, a Service Dog ID badge gives your service dog instant credibility by clearly stating that your dog is a service dog. 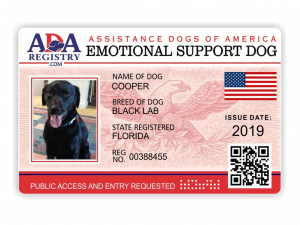 The Department of Transportation lists service dog identification cards at the top of their list and only verbal assurance is at the bottom. Service Dog ID badges can dramatically speed up your process of getting through airport security, entering stores etc. 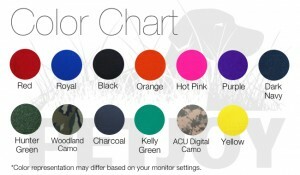 without arguments or confrontations. 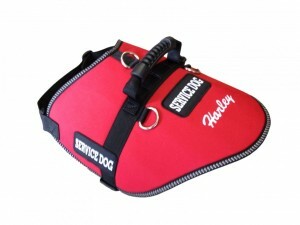 Many owners of service dogs have reported that the airlines have required some sort of identification even though by law they are not allowed to do this. 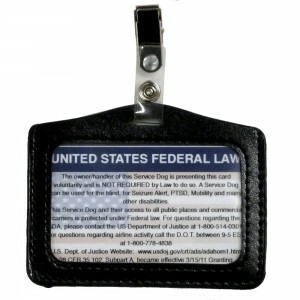 – Our Service Dog ID cards are the size and thickness of a standard credit card and are very durable. They are not cheap laminated pieces of paper. 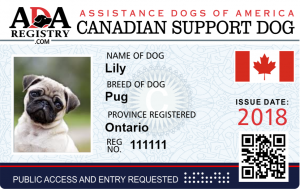 – Our ID badges feature your service dogs photo, ID number (if applicable) and pertinent service dog handler information. 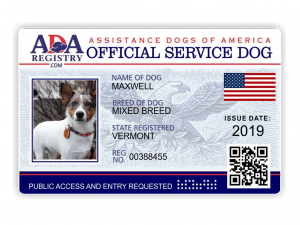 – All of our service dog ID badges have The United States Federal Laws on the back, including the United States Department of Justice’s phone number should business owners or employees have further questions about your service dogs in their place of business. 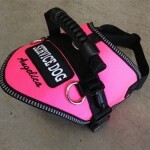 * Carriers shall accept as evidence that an animal is a service animal. 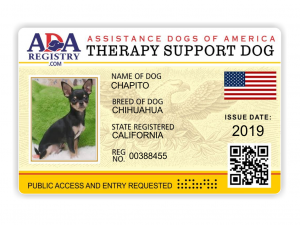 Identifiers are classified as identification cards, other written documentation, presence of harnesses, ID tags or the credible verbal assurances of a qualified individual with a disability using the animal.